Back pain, whether acute or chronic, is one of the most commonly experienced problems in the population. Treatments for these two different types of back pain vary according to the location of the discomfort and its cause. 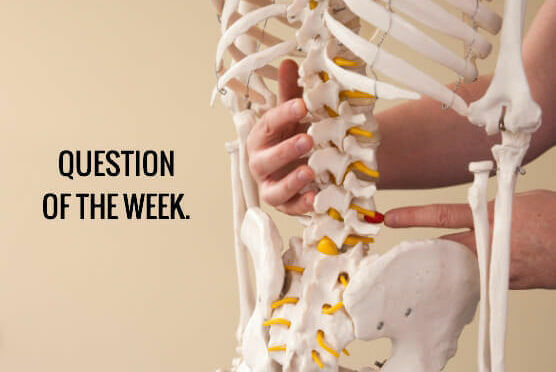 If you are living with acute or chronic back pain, it is important to understand which type of pain you are experiencing, so that it can be properly treated with conservative methods or surgical methods such as fusion surgery or decompression. Acute back pain refers to discomfort that comes on suddenly, and is usually caused by an injurious event. Many times, soreness stems from trauma to the muscles caused by overuse during an activity or sudden twisting during a fall. Usually, ice applied for 15 minutes at a time, with 40 minutes of rest in between applications, for 24 hours followed by intermittent heat applications and rest help the strained muscles to recover. Acute back pain can also stem from a more serious injury that involves disruption of structures of the spinal column such as fracture or disc rupture. If untreated, the soreness will likely develop into chronic pain. If the pain cannot be relieved by correcting the possible problem with conservative methods, spine surgery such as repairing a bulging or ruptured disk may be recommended. Sometimes, though, the source of chronic pain stems from an unknown cause and further testing and consultation with professional back specialists or spine surgeons in Los Angeles will be recommended. If you are living with chronic pain, find your options for relief by calling The Spine Institute Center for Spinal Restoration. Our board-certified spine specialists and surgeons will be able to evaluate your pain and provide you with expert recommendations on how to move forward successfully. Call us today at (310) 828-7757 to schedule an in-person consultation.